This project proposes a holistic approach through specific design tools, to develop safety principles in Cape Town. Its program is based on three “pillars”: situational crime prevention, social crime prevention and institutional crime prevention. In collaboration with residents and local associations, the project helped the development of a traders facility and live-work units and a system for monitoring and maintain existing taps and toilets in the area. It is aimed at reducing violent crime and improving social conditions in Cape Town communities across the Cape Flats, as well as to upgrade neighbourhoods, improve social standards and introduce sustainable community projects to empower local residents. 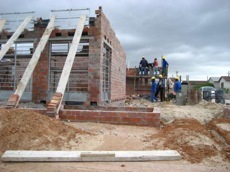 Two new community buildings, a park and a sports complex were opened in Harare, Khayelitsha on Saturday 23 May 2009. 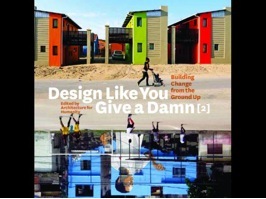 According to the authorities, it has helped transforming the township of Khayelitsha into a vibrant, safe, and attractive place but most importantly into a community that is environmentally, economically and socially sustainable. City Council, City, the German Federal Ministry for Economic Development and Co-operation and Development, and the German Development Bank (KfW), Regional and National Fonds, civil societies.